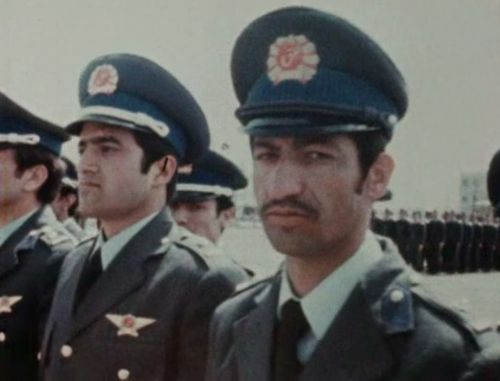 Afghan Air Force in the late seventies, before the Soviet invasion. 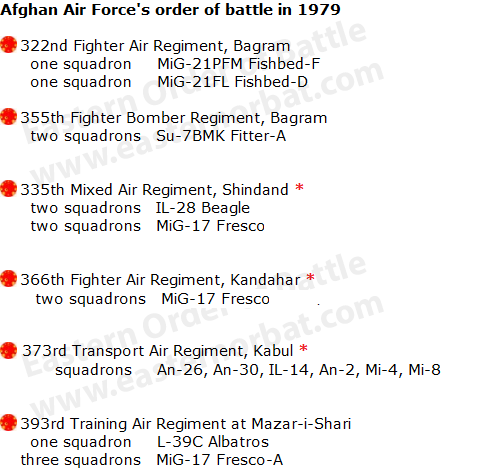 The Afghan Air Force and Air Defense consisted of four forces. The air force; antiaircraft-artillery, antiaircraft-missile troops, and the radio-technical troops. 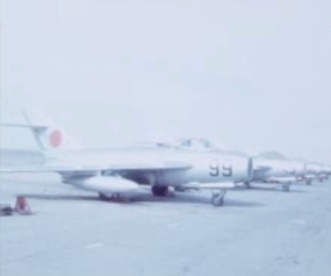 In Bagram worked the aircraft maintenance plant, which was being specialized in MiG-17 Fresco model. 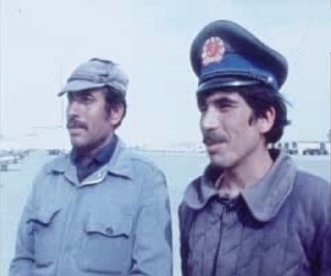 By the end of the seventies, the Afghan Air Defense consisted of four anti-aircraft missile battalions of SA-75MK Dvina (SA-2 Guideline), three battalions of S-125 Neva (SA-3 Goa). 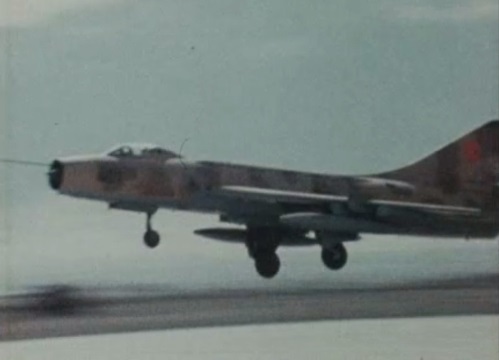 In 1979, the Afghan Tactical Air Force consisted of approximately 200 combat aircraft including Su-7BMK Fitter-A, two air squadrons with MiG-21FL Fishbed- D and MiG-21PFM Fishbed-F fighters, MiG-17 Fresco fighters, IL-28 Beagle light bombers, and some Mi-4 Hound and Mi-8 Hip-C helicopters. 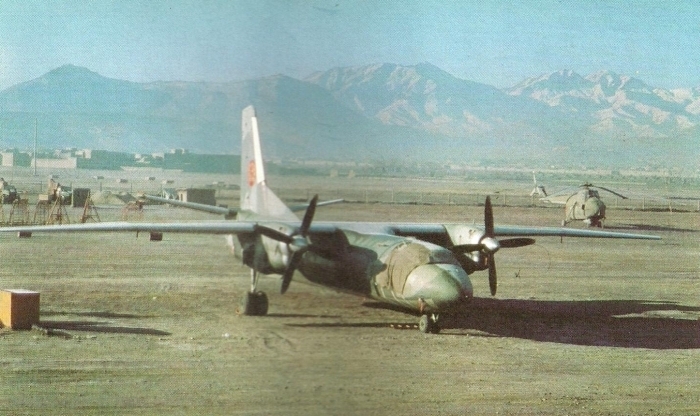 The most modern type of Afghan Air Force was the Su-7BMK Fitter-A fighter-bomber. 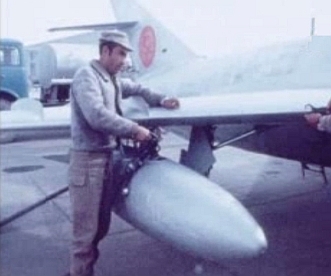 The new type served to intimidate Iran and Pakistan in the late sixties. Two squadrons were used by the 355th Fighter Bomber Regiment in Bagram Airport. 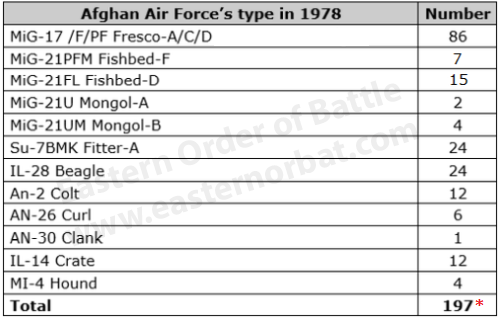 MiG-21 Fishbed types of the Afghan Air Force in the first half of the eighties. 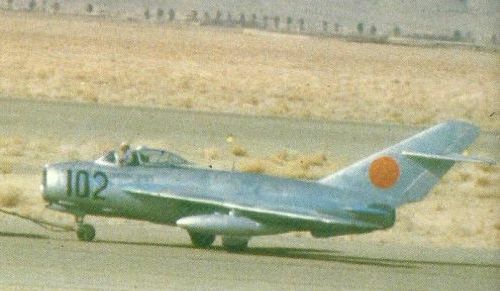 In addition to Afghanistan's existing MiG-17F Fresco-C and MiG-17PF Fresco-D fighters, received a large number of former Soviet MiG-17s from the Soviet Union in the early seventies. 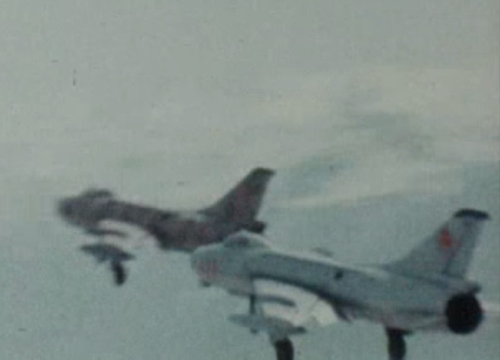 These were used as fighter-bombers and advanced training aircraft in the seventies at the 335th and 393rd regiments. 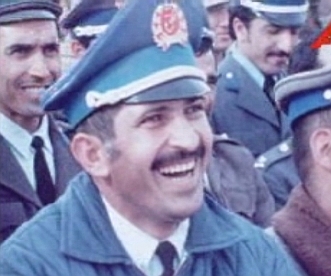 The Afghan Air Force members was low-skilled and not motivated. The rank of soldiers depended on the social rank of their family and not their talents. 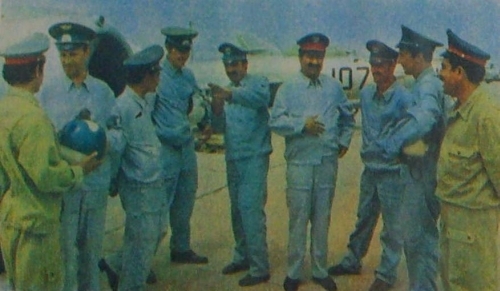 Soviet and afghan pilots in front of Afghan Air Force’s silver coloured MiG-17 Fresco fighter-bombers. 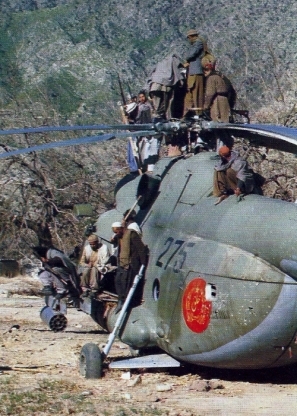 The transport types of the Afghan Air Force were modernized in the second half of the seventies. Beside existing IL-14 Create and Mi-4 Hound piston engines, they received modern An-26 Curl transport aircraft and Mi-8T Hip-C medium cargo helicopters. 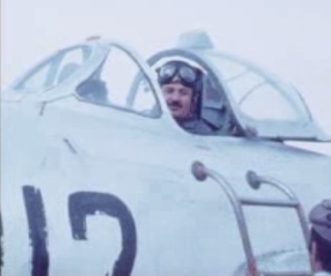 They also got an aerial reconnaissance, mapped An-30 Clank. On the territory of Afghanistan traffic network was weak. Not all provincial capitals to ensure the reception of transport aircraft. 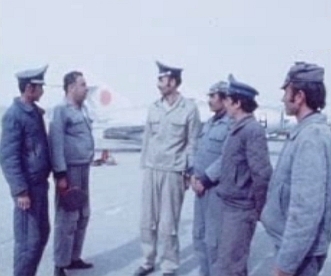 There were only 7 airfields with runway over 1800 m.
In April 1978, the communist People's Democratic Party of Afghanistan (PDPA) seized power in Afghanistan in the Saur Revolution. The coup was strategically planned to begin Thursday 27 April, because it was the day before Friday, the Muslim day of worship, and most military commanders and government workers were off duty. 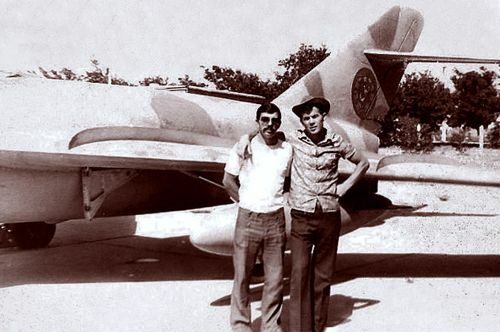 With the help of a few airplanes of Afghanistan's military air force, which were mainly Soviet made MiG-21 Fishbed and Su-7BMK Fitter-As. The aerial attacks on the palace intensified about midnight as six Su-7BMK Fitter-As made repeated rocket attacks, lighting up the city. 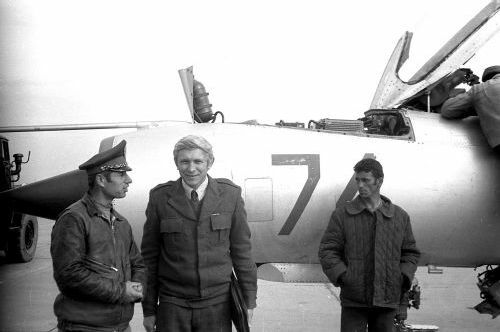 Under the coup, two aircraft were lost: MiG-21UM Mongol-B was damaged by the antiaircraft fire, after which pilot ejected; Su-7BMK Fitter-A's pilot of which on the takeoff felt bad and ejected. 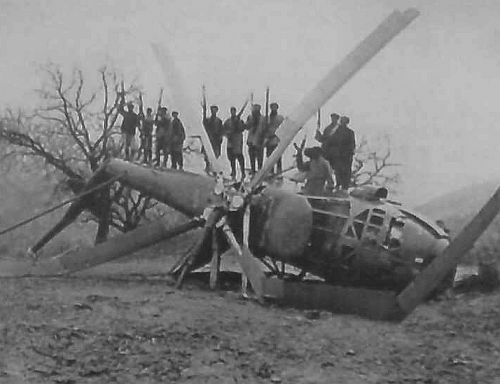 In addition, three MiG-21 Fishbed, four Su-7 Fitter, a Mi-8 Hip, an Il-14 Create, and an An-26 Curl, have been damaged. * Afghan AF used L-39C Albatros and MiG-15UTI Midget trainer aircrafts too. 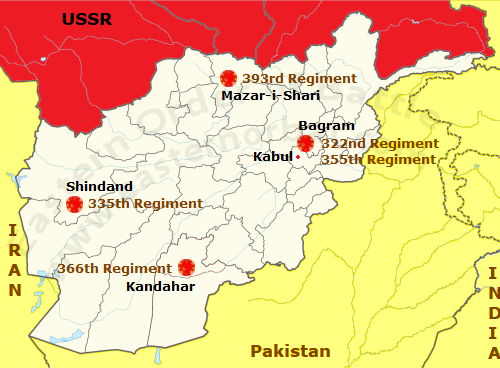 Within months, opponents of the communist government launched an uprising in eastern Afghanistan that quickly expanded into a civil war waged by guerrilla mujahideen against government forces countrywide. 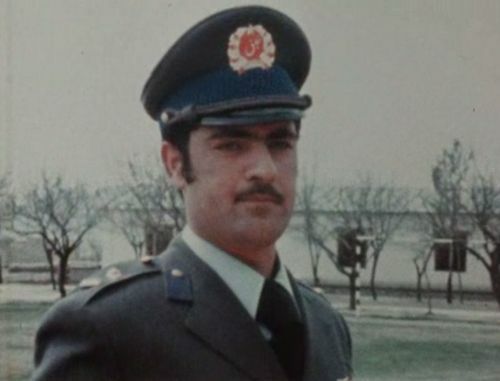 The Afghan Air Force were actively used in the civil war between 1978 and 1979.